An ultrasonic cleaner is a very helpful tool to own when your gun parts get clogged with all sorts of residual elements. Since cleaning brass elements manually is no longer a good idea, ultrasonic cleaners come to save you time, effort and eventually, money. That is why I always advise on quality ultrasonic cleaners for ammo brass, brass cases and so on. 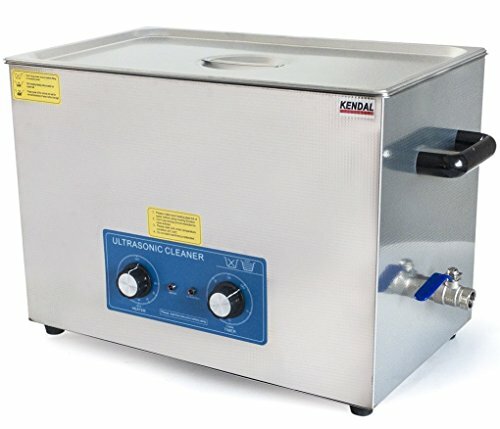 There are a lot of types of cleaners on the market, and while there is no need to make special ultrasonic cleaners for brass cases only or ultrasonic cleaners for ammo brass, there are surely enough companies like Kendal which manufacture these devices to fit a large variety of materials and items. Scroll down to chose the best ultrasonic cleaner for brass based on your needs. With an ultrasonic cleaner, you can clean from gun parts to handguns or rifles (as long as the container is big enough). The most useful thing about ultrasonic cleaners is that you can use it for guns and ammo parts which are hard to disassemble and assemble back again or have tiny little holes where you cannot clean with conventional methods. An ultrasonic cleaner, however, will ace this work in no time. That is one of the primary reasons why you should choose an ultrasonic cleaner for your ammo brass, brass cases and all that. Probably one of the best ultrasonic cleaners for brass in this price range, this Hornady branded cleaner was specially designed to remove any residue like carbon and debris from all of your guns and brass items. It features a command keypad and display, and it is easy to configure right out of the box. The 1.5-liter capacity is more than enough for most handguns and other small parts. You can put up to 200 rounds in the cleaner and set it for about half an hour and they will come out clean as new. It is easy to use, intuitive and it delivers great results, exactly what most customer needs. 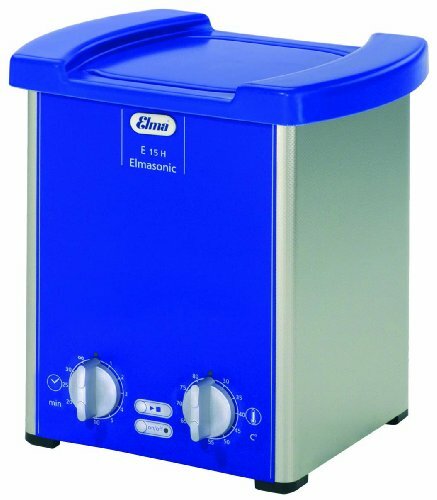 Again, in the price range, I would say that this is overall the best ultrasonic cleaner for brass. Tovatech makes surprisingly high-quality ultrasonic cleaners. I found the 100E15H model to be very good in terms of quality of materials and reliability. The ceramic structure is a little better than stainless steel in my opinion because it looks a little better. The capacity of 0.5 gallons is more than enough for most gun parts and even pistols or small guns. I find that it is easy to clean 10 brass at a time. This Tovatech cleaner is a lot quieter than a lot of other ultrasonic cleaners. I still haven’t found a Branson or a Kendal that are as quiet as this model. What I like compared with the previous Kendall is that it has an infinite mode that lets you set it to continuous cleaning as opposed to the Kendall which as much as I know has a limit of only 20 minutes. Besides this, I also like the switches for controlling the heating and cleaning. They are very practical. I am very happy with how perfect this Tovatech cleaner works. It perfectly cleans everything you need in the shortest time possible. That is why I considered it the best ultrasonic cleaner for brass. For the money, you get a reliable ultrasonic cleaner that works great with lots of both household and industrial items. 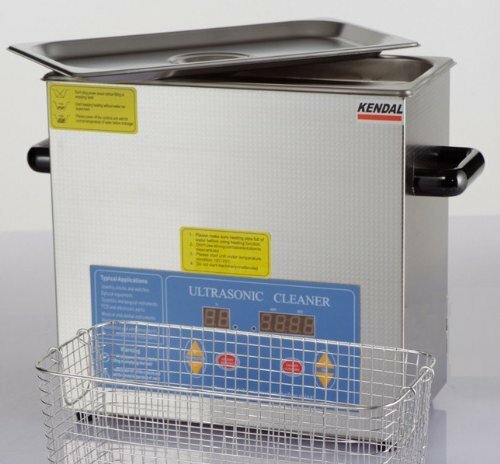 This is a powerful ultrasonic cleaner from Kendall. It comes with a power of 600 watts and a large tank size with a capacity of 27 liters. Kendal makes overall good cleaners and considering the price I think that this one is a pretty good pick. It also features a time setting ranging from 0 to 20 minutes. While I would have liked to see a bigger flexibility in terms of controls this is still a good item. The quality of the materials is top notch. The stainless steel body is great in terms of durability. This ultrasonic cleaner is overall a safe investment for your money if you want to clean all sorts of gun parts, brass and all sorts of devices that are hard to clean by hand. If you want to save time and money then this Kendall should definitely be one of your options. 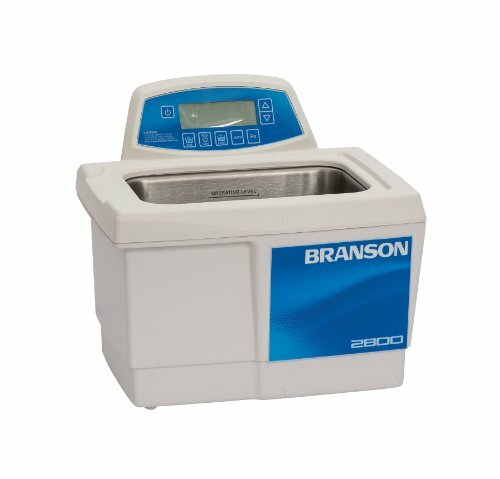 The Branson CPXH is a modern ultrasonic cleaner that comes with digital control and highly flexible settings. I would say that Branson uses top of the line technology with its cleaners. 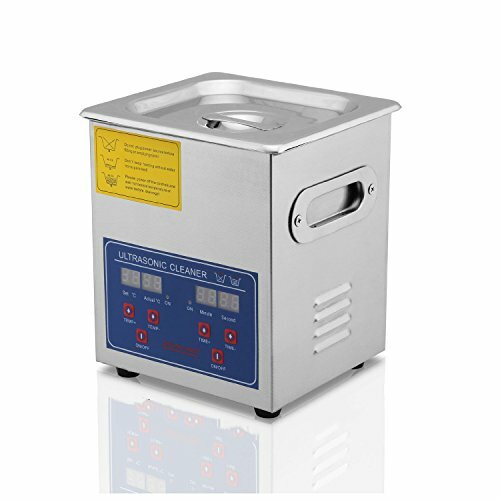 This ultrasonic cleaner comes with a capacity of 0.75, a little more than the previous one, a chamber depth of 4 inches and a height of 9.5 inches. The operating frequency is 40 KHz. The CPX series offers more control and more precision for the items you want to clean. I find it easy to configure by most people although it has some settings that might make you take the user’s manual. A useful feature that I haven’t seen on previous cleaners is the sleep mode that automatically activates if no buttons are pressed in 15 minutes. This is one of the universal ultrasonic cleaners that I reviewed. 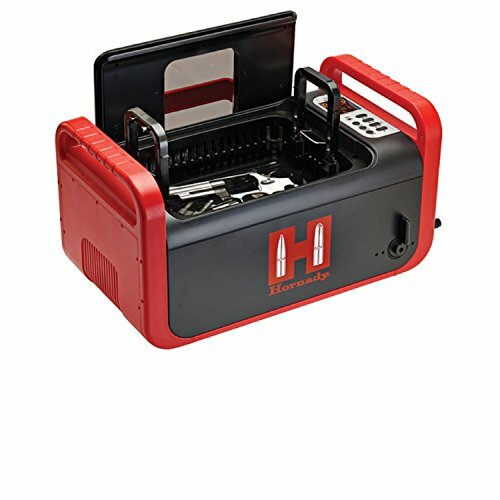 You can basically clean a large variety of items from gun parts, ammo brass, cases to electronics and jewelry thanks to the adaptive and configurable high/low continuous operation and heat. Overall this ultrasonic cleaner is a great choice for the money, and is a serious choice in our selection for the best ultrasonic cleaner for brass. This is a much cheaper ultrasonic cleaner from Kendall. Of course cheap does not mean bad, but you will see a difference in quality when compared to previous models. It comes in the same stainless steel body that Kendall uses with most of their cleaners. It comes with an easy to configure program ranging from 1 to 99 minutes and it also features a digital temperature control system from 20 to 80 degrees Celsius. The large tank is a plus for those who want to clean multiple items at a time. If I had to say a complaint I have with this cleaner then that would definitely be the noise. It is pretty noisy compared to a Tovatech, but when you consider the price difference you get a pretty good unit. This is one of the best ultrasonic cleaners in the price range and while you will definitely get better quality and results with a more expensive one if all you have is one Benjamin then this is one of the best choices you can make. The construction is similar to a Kendal from stainless steel although the overall build is worse in quality than most other ultrasonic cleaners. It also features a temperature setting ranging from 32 to 176 degrees Fahrenheit. The tank capacity of half a gallon is enough for most small sized items. While I will definitely recommend a higher quality ultrasonic cleaner whenever you can afford it, if this is all you have then this is a great choice in terms of a compromise between quality and price.